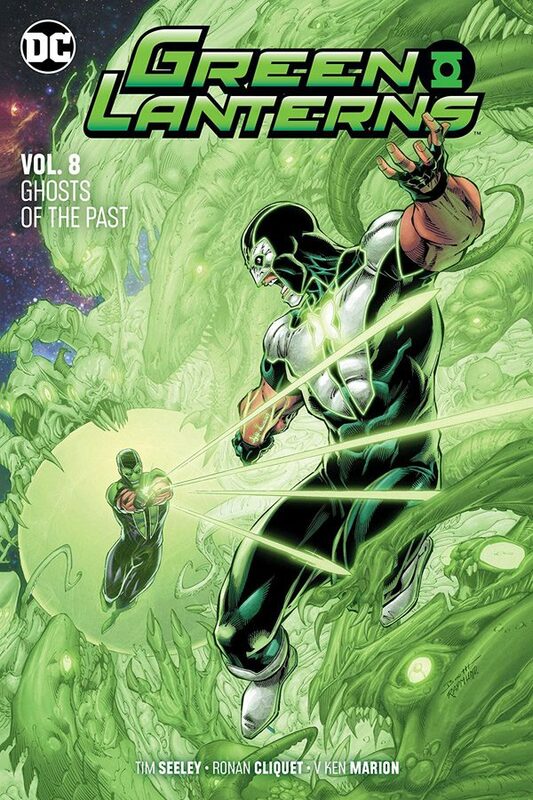 Everyone’s favorite Earthbound Emerald Warriors, Simon Baz and Jessica Cruz, return to Earth after an epic intergalactic battle to save Earth’s heroes from a superhuman trafficking ring in Green Lanterns Vol.8! Jessica Cruz’s ring has a mind of its own, and it’s lashing out at her! Jess needs to find a way to defend herself against a ring that is making constructs against her will, as she’s been pulled into a nightmare world created from her own memories. As Simon Baz and the Justice League try to find her, they turn to an unlikely ally for help: John Constantine! Writer Tim Seeley (Nightwing, Grayson) expands the saga of Simon Baz and Jessica Cruz in Green Lanterns Vol.8!